This chocolate mousse recipe is a quick, five minute dessert that’ll satisfy your cravings without making you feel guilty. Instead of loading up on egg yolks, cream, and sugar, this recipe is raw and substitutes those less healthy ingredients for healthy avocado and banana. 2. 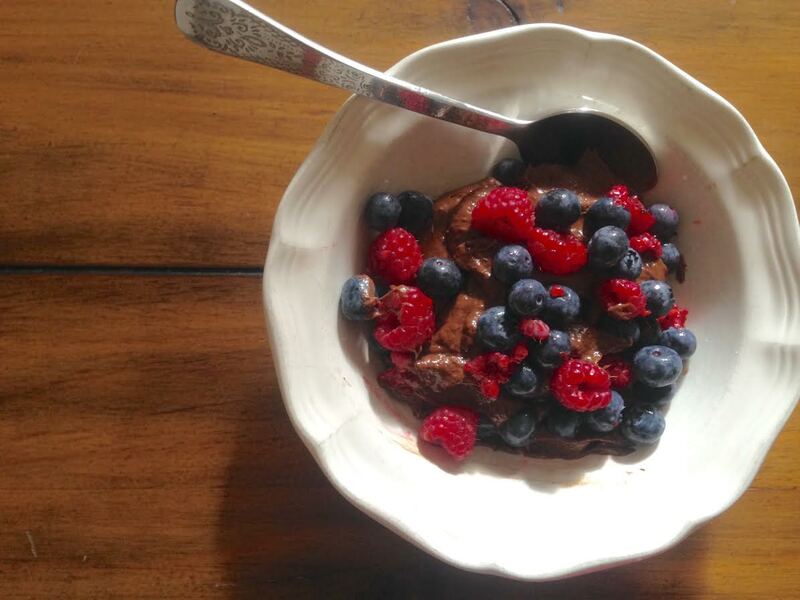 Spoon mousse into serving bowls and refrigerate for an hour before serving. Top with fresh berries if you like! You may have been wondering what the kombucha hype is all about, and seriously, what the heck is tempeh anyway? Maybe you’ve heard of or seen probiotics before, but you don’t know why they’re important. It’s also possible you’ve consumed probiotics, maybe most of your life, and didn’t realize. 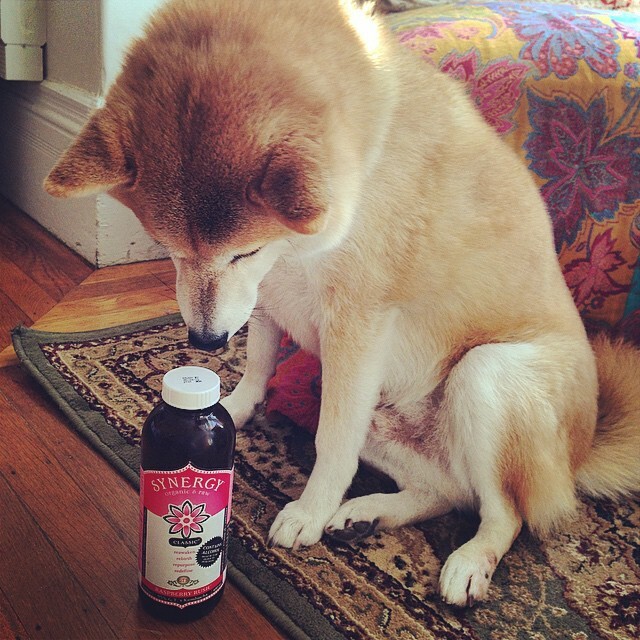 Bandit thinking, what is this kombucha stuff mom drinks? Our bodies contain around 100 trillion microbes, most of them bacteria, and some beneficial bacteria. Probiotics are the good bacteria. These living organisms reside in our colons and small intestine. They keep our guts clean, aid in digestion and add bulk to solid wastes. Probiotics also fight disease-causing microbes, and can help with health problems like irritable bowel syndrome (IBS), inflammatory bowel disease (IBD), infectious diarrhea, and antibiotic-related diarrhea (webmd). Probiotics are important to take while on antibiotics, since antibiotics cause a loss of healthy bacteria. Stress or poor diet might reduce the numbers of healthy bacteria in the small intestine as well, and vice versa, a lack of healthy bacteria has shown to trigger feelings of depression and anxiety when there’s an imbalance within the gut (beginwithnutrition). Yogurt- Yogurt is made from fermented milk using certain bacteria, but only types labeled as containing live bacteria (“active cultures”) are actually probiotic. Kefir- Similar to yogurt and contains sometimes up to ten diverse strains of good bacteria. It’s fermented using a combination of bacteria and yeast with milk proteins and complex sugars. Made from cow’s milk, goat’s milk, sheep’s milk, coconut milk, soy milk, or rice milk. Kefir is a good choice if you’re lactose intolerant, because the lactose it once contained is broken down through fermentation. Buttermilk– Made with strains of lactic acid-making bacteria added to regular pasteurized milk. Raw Milk- Maybe only five states in the U.S. actually allow the sale of raw milk and there are debated health risks, but raw milk drinkers swear by the stuff because of all the good bacteria. Soy Milk- Must say “contains active cultures” on the label. Dark Chocolate- Certain types of high-quality chocolate contain probiotics. Dark chocolate is also a source of antioxidants! Miso- A staple of Japanese cuisine, miso is made with fermented soy, barley, wheat, or rice with a fungus that produces a red, white, or dark brown salty paste. When cooking with miso, add it to hot foods at the end of cooking to preserve the probiotic cultures as much as possible. Tempeh- High in proteins and minerals, tempeh also promotes intestinal health. Tempeh originates in Indonesia and is made with cooked soybeans and an added fungus culture. It’s then fermented into a thick, meaty block. le of the Japanese diet. Kimchi- A pickled Chinese dish of cabbage, eggplant, or other vegetables fermented with red chili and other spices for at least a month. Kimchi is full of fiber, vitamins, iron, and various types of probiotic bacteria. Sauerkraut- German for “sour cabbage,” sauerkraut is made from fermented, finely shredded, salty cabbage and contains a variety of heathy bacteria. Buy fresh sauerkraut that contains lives cultures, versus some commercial brands of sauerkraut. Pickles- These crunchy treats contain lots of probiotics. Kombucha Tea- This Asian drink restores energy and aids digestion. Olives- Olives in brine are probiotics, because the brine allows probiotics to survive and thrive. I love chocolate. For a period of my life I ate dessert after nearly every dinner. Sometimes I also binge on sweets late night. I know I’m not the only one, right? From a young age most of us are exposed to sugar, and man, that stuff is addictive! I mean, literally. I remember I grew up drinking Coca-Cola and eating sweets a lot (my dad wasn’t the best influence with this). I’m not sure how I managed to ween myself off of soda by the time I got to high school, but it was a huge shocker for me when I got to college and learned that not everyone ate dessert every night after dinner. I was used to having ice cream, brownies, cookies or candy all the time, and visiting my grandma was always a treat because she had about four drawers in her kitchen dedicated to chocolate. Her trick was that she trained her brain to realize that the chocolate would always be there and available, so she never needed to binge, and could just eat a little bit at a time. This wouldn’t work for everyone and I know my will power isn’t that good. Recently, however, I’ve learned a tip for suppressing sugar cravings. It has been remarkably helpful, so let me share. Add naturally sweet vegetables to your diet to satisfy your sweet tooth. Instead of depending on processed sugar, look to sweet vegetables to aid with sugar cravings. Sweet vegetables soothe the body’s internal organs and energize the mind. Root vegetables, which are often sweet, are also grounding, rather than creating that sugar high that inevitably ends in a crash. Other: Red radishes, daikon, green cabbage, and burdock (This list of veggies aren’t sweet, but have the same effect on the body by maintaining blood sugar levels, reducing sweet cravings, and breaking down animal foods in the body). Eating fruits can also satisfy sugar craving, but try out some of the sweet vegetable options from above while also reducing the number of times you consume sweets. Just remember, adding in sweet vegetables assists in crowding out less healthy foods in the diet. I also find that sometimes when I think I’m hungry even though I shouldn’t be, late at night or after a big meal, for example, all I really need to do is drink some water. Try having some water and waiting at least 15 minutes to see if your cravings pass. If you still need your chocolate/sugar fix, there are also healthier recipes or snacks to buy, and just try to portion control by measuring out how much you want to allow yourself to eat. If you’re snacking on M&Ms for example, pour some out of the bag into a small bowl, rather than eating the whole bag.